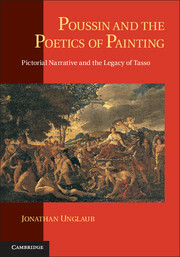 This book retraces the development of classical imagery in the visual arts of the Italian Renaissance. 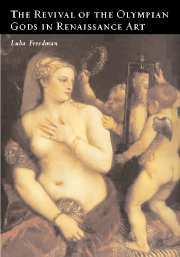 Luba Freedman examines poems, letters, and treatises on art, which testify to the contemporary desire to depict classical myths in the style and spirit of Ovid's Metamorphoses, and to re-create the artistic patronage of the ancient Romans. This new development in art was driven by collaboration between humanists, artists, and their patrons. 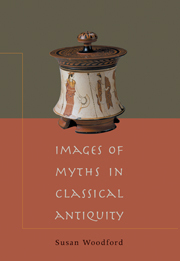 The extant artifacts of Roman antiquity, in addition to the study of Greek and Latin texts which brought to light descriptions of ancient paintings, were used as models for re-creating the visual culture of antiquity. 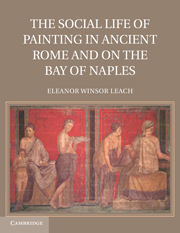 Paintings of classical myths that were shaped all'antica, or in the manner of the ancients, reflected the desire of humanists to link the modern Rome with its ancient ancestry. 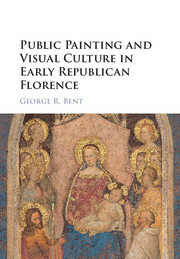 "The subject of this book is of great importance to all scholars interested in Renaissance art … It takes an approach different from many others and one that opens new avenues for consideration." 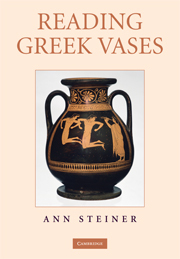 "Enjoyable reading and an undoubtedly interesting topic." 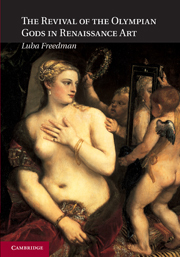 "Luba Freedman's book offers us a fascinating trajectory into paintings of the Renaissance with classical mythological subjects, surveying some of the most impressive episodes in the painted media ever produced on Italian soil." contains: 32 b/w illus. 14 colour illus. 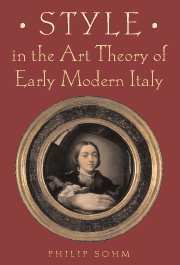 Luba Freedman is Professor in the Department of the History of Art at the Hebrew University of Jerusalem. 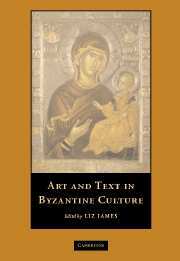 She has published articles in many journals, including Gazette des Beaux Arts, Renaissance Studies, Storia dell'arte and Viator: Medieval and Renaissance Studies. 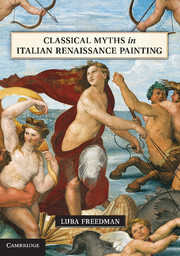 She co-edited, with Gerlinde Huber-Rebenich, a book of articles, Wege zum Mythos, and is also the author of several books: The Classical Pastoral in the Visual Arts, Titian's Independent Self-Portraits, Titian's Portraits through Aretino's Lens and The Revival of the Olympian Gods in Renaissance Art.